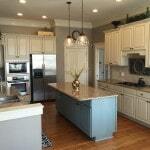 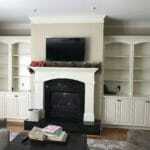 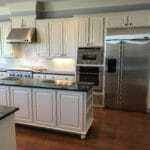 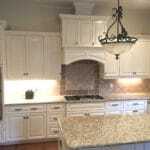 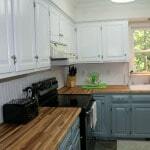 I got so excited when my customer said she wanted her kitchen cabinets painted white with a blue island. 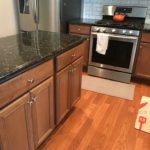 I just knew it was going to be awesome, before I even got started. 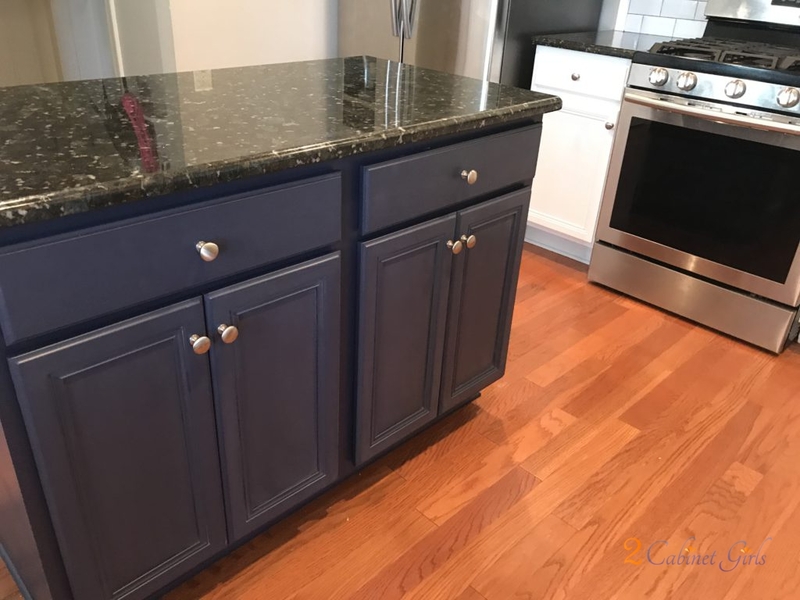 What an incredible color combination. 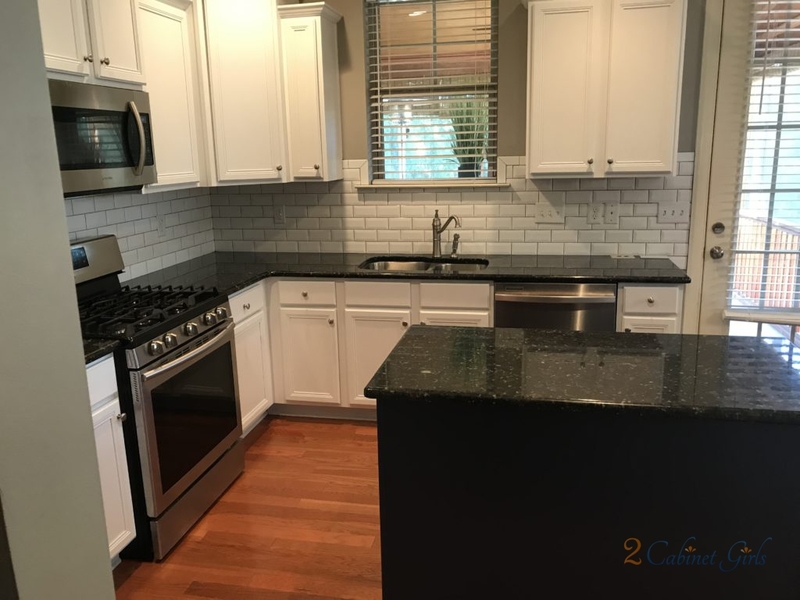 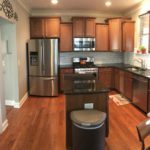 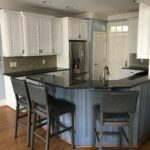 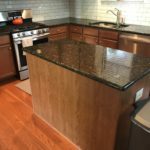 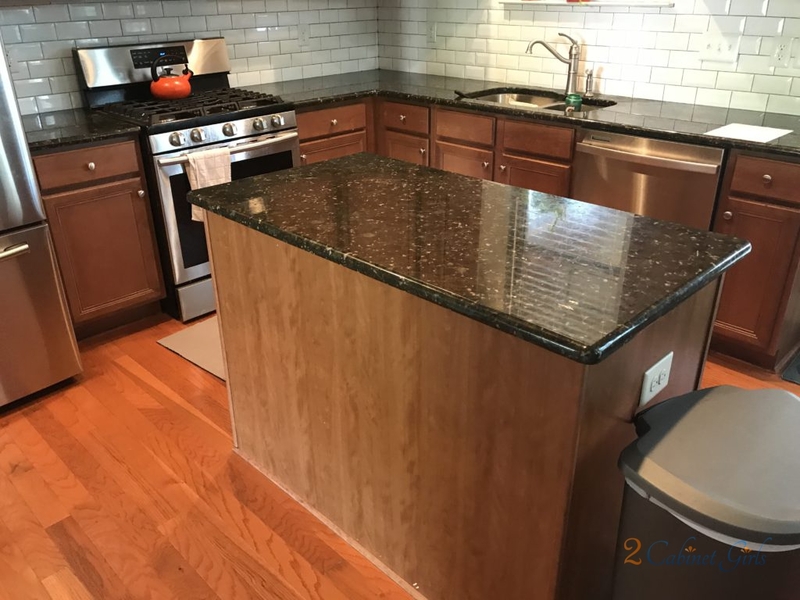 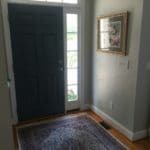 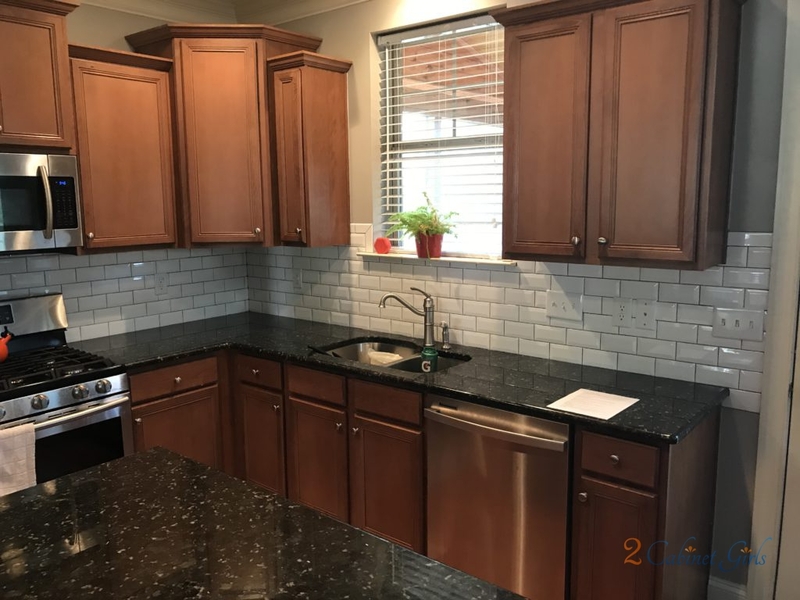 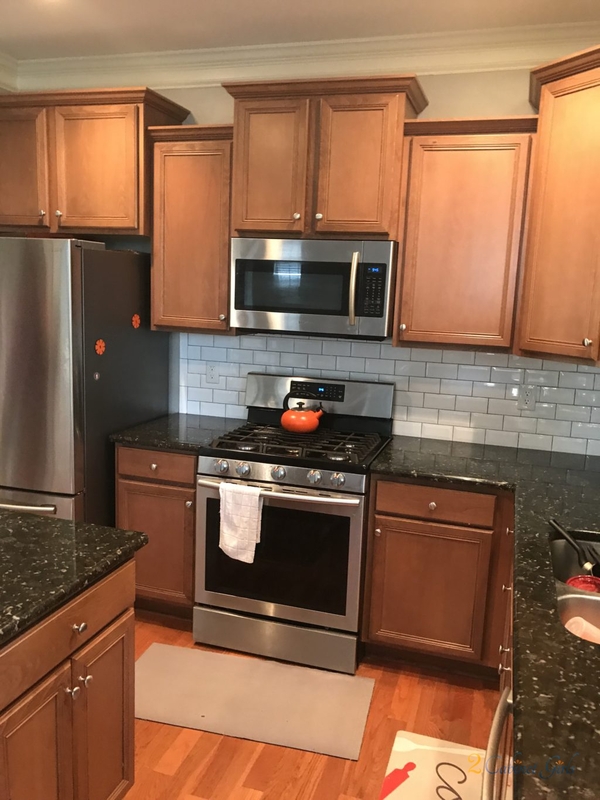 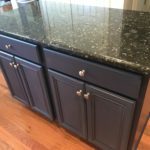 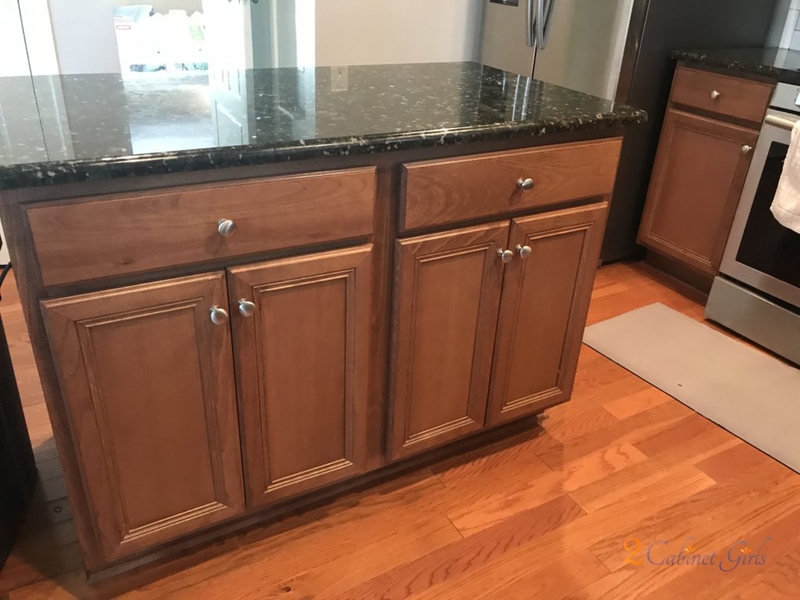 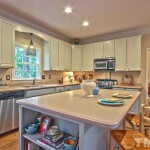 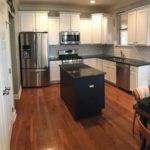 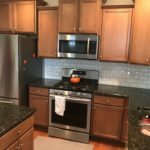 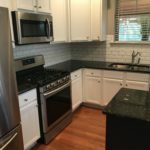 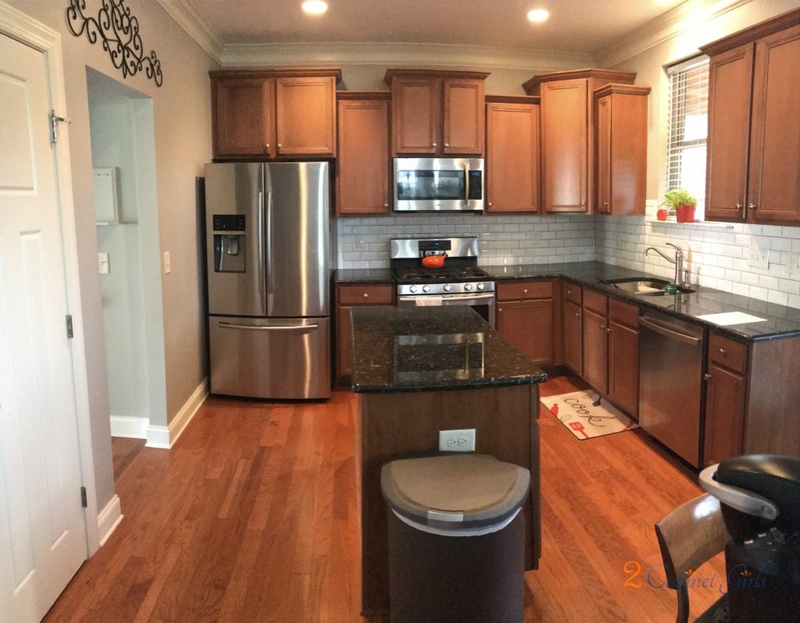 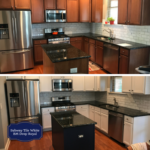 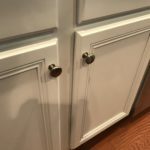 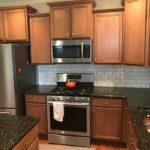 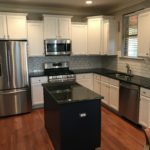 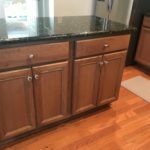 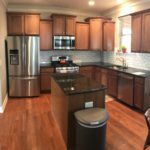 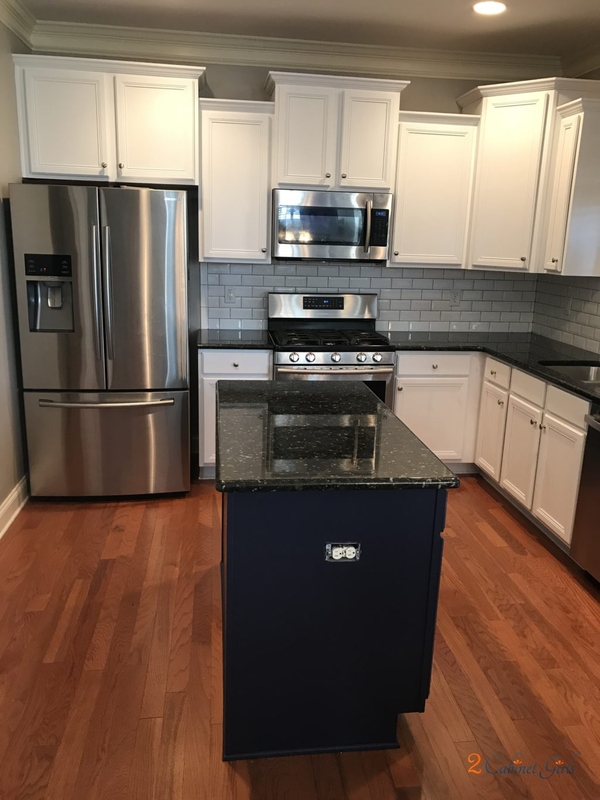 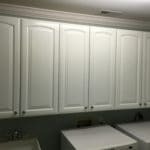 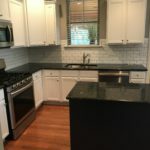 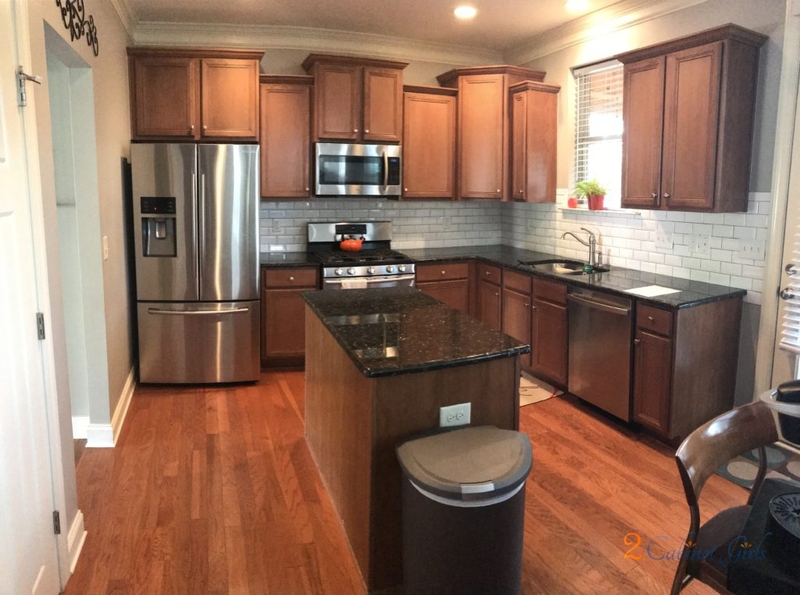 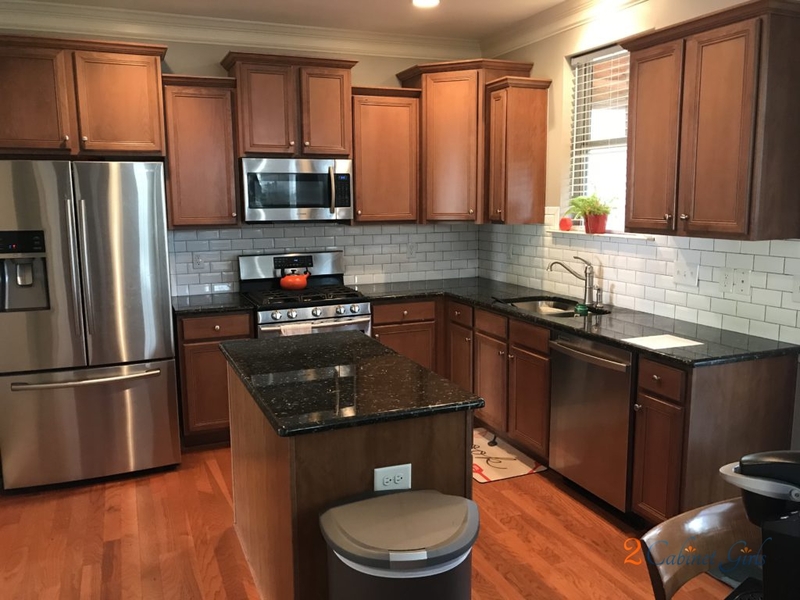 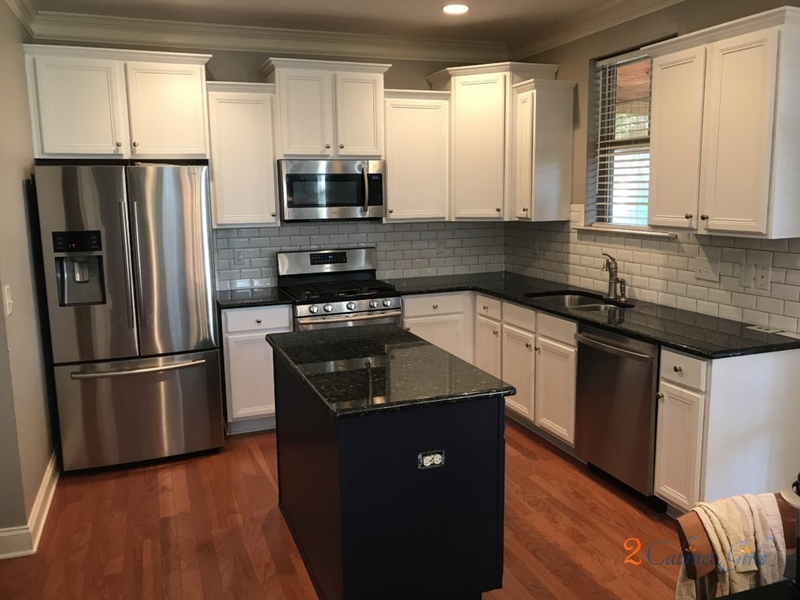 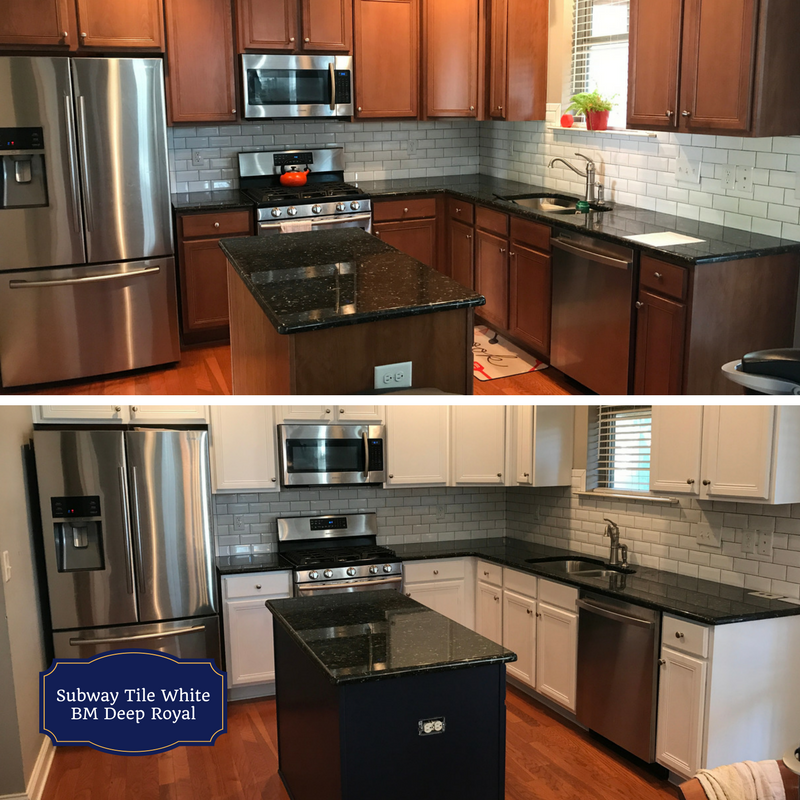 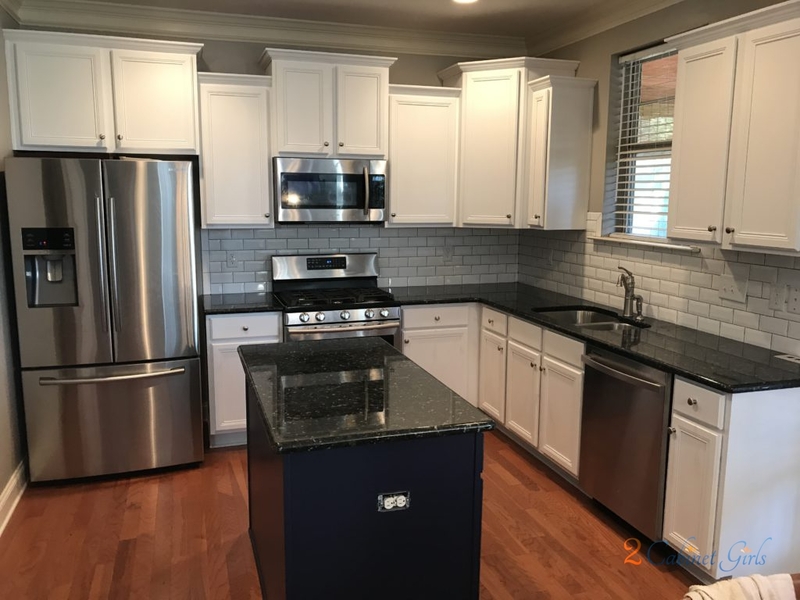 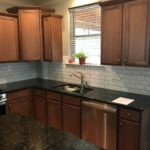 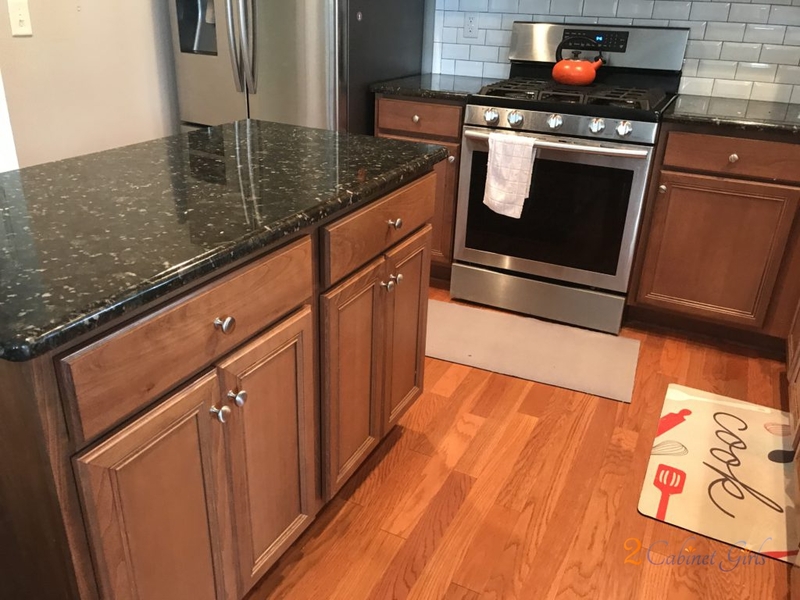 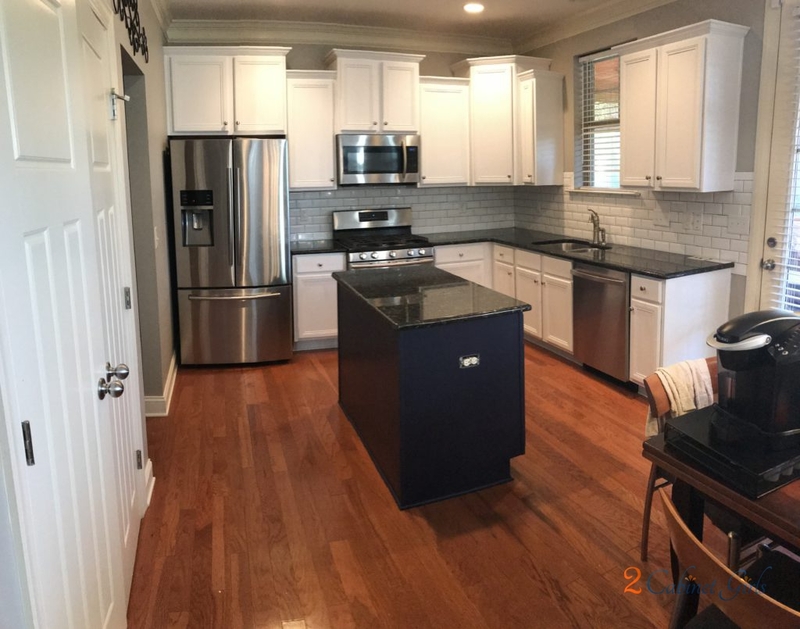 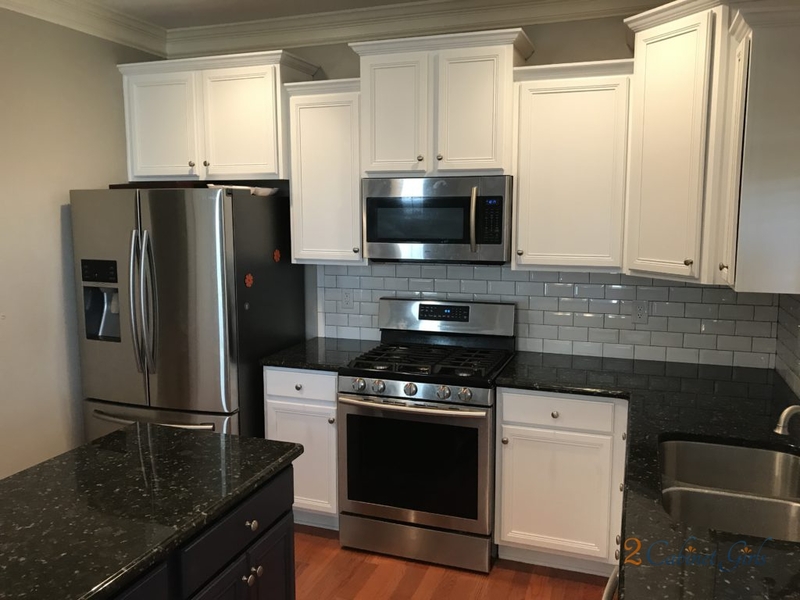 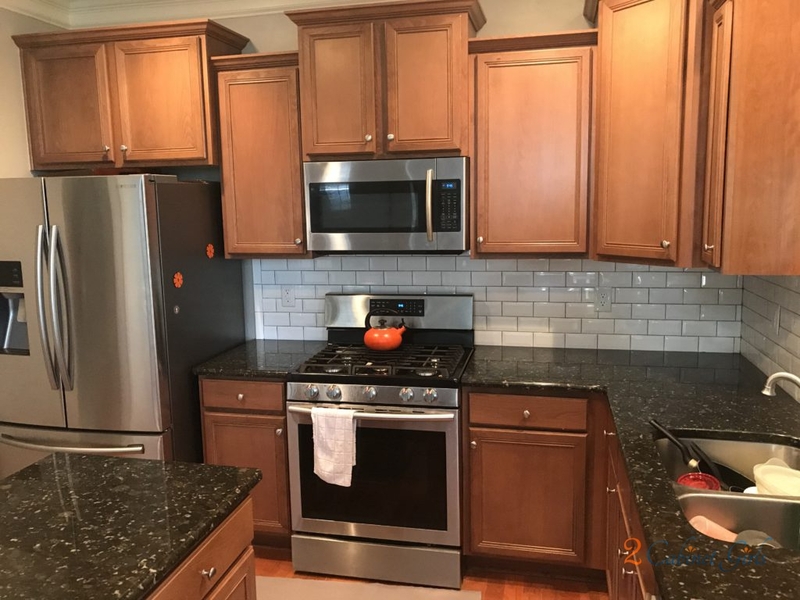 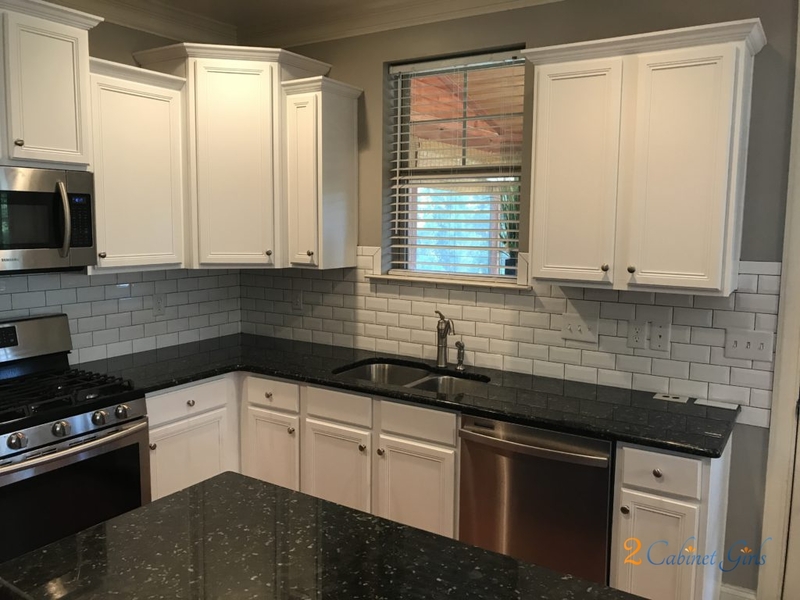 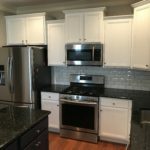 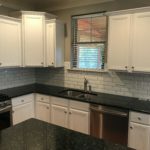 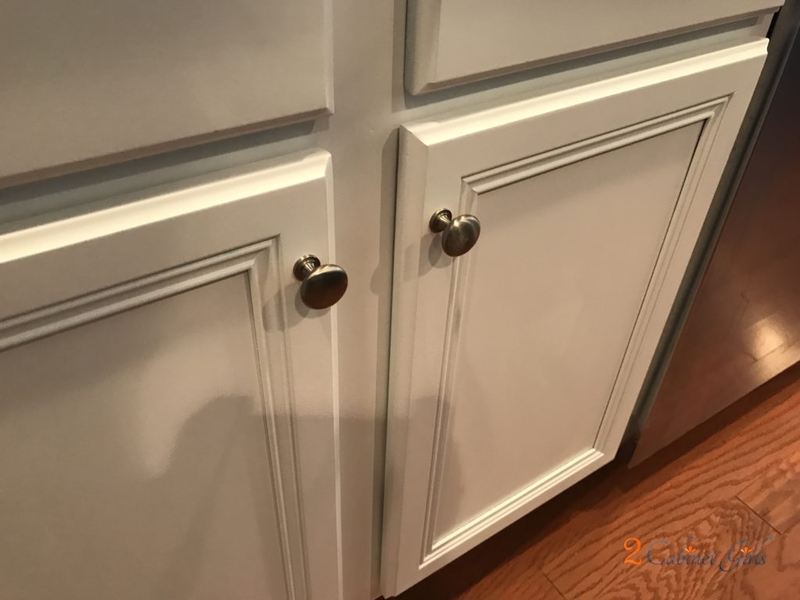 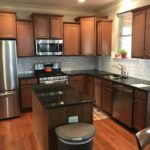 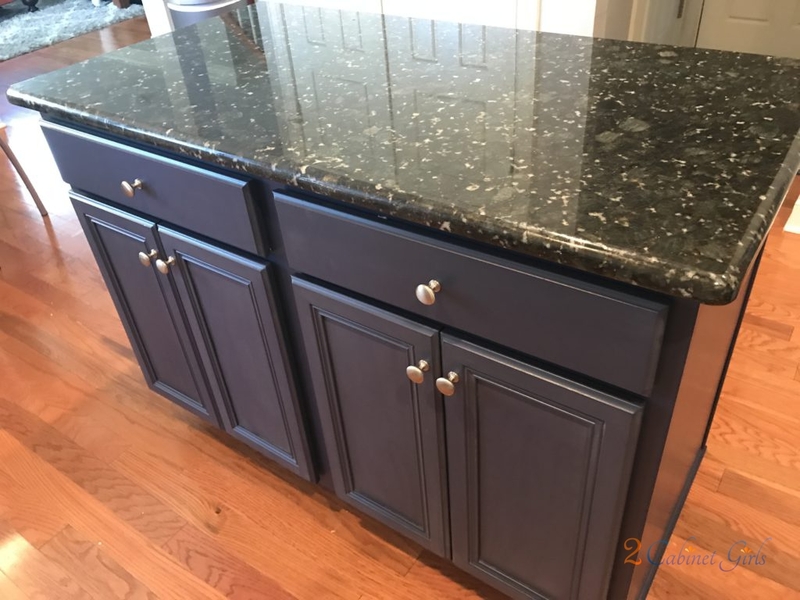 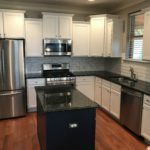 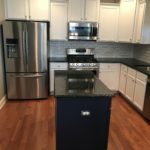 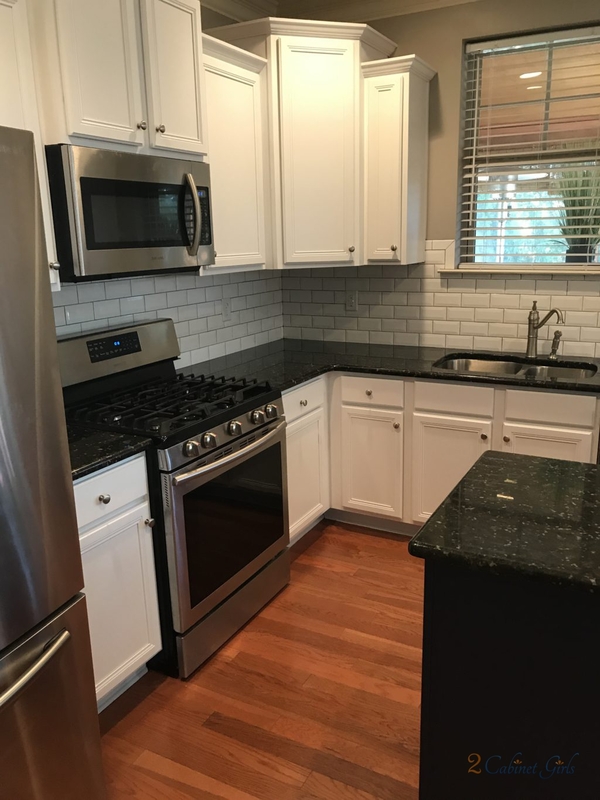 She picked a dark navy, called Deep Royal, to paint her kitchen island and then we custom color matched her new white subway tile for the color of her main kitchen cabinets. 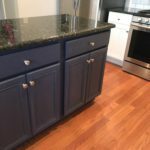 Now she has a magazine worthy kitchen!